As expected, Airtel moves ahead of Glo, to become the second largest mobile operator in Nigeria, behind MTN. Besides its record margins, Airtel is also growing at the fastest rate. In the last quarter, Airtel Nigeria grew 3.55%, Glo 1.87% while MTN shrank by 3.50%, according to Nigerian Communications Commission (NCC) data. About 2.34 million subscribers have been added to the telecommunications network, according to figures released yesterday by the Nigerian Communications Commission (NCC). 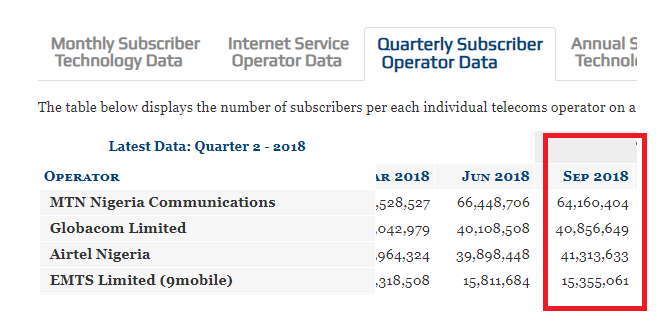 The statistics also showed an increase in Internet penetration from 104 million users in August to 105.9 million in September.Further analysis of the report showed a fierce battle between Globacom and Airtel. 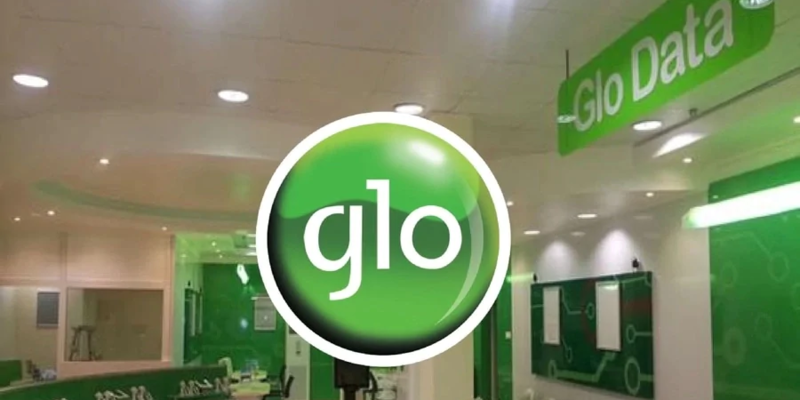 Globacom, which had maintained the number two spot after MTN, appeared to have been displaced. Airtel, the statistics added, currently controls 25.6 per cent market share with 41.3 million subscribers, after MTN, which is still the biggest operator in Nigeria with 64.2 million users and 39.9 per cent market share. Globacom within this period has 40.9 million users with 25.3 per cent market share. 9Mobile, formerly Etisalat trading as Emerging Markets Telecommunication Services Limited (EMTS) in Nigeria, which celebrates 10 years of operations in Nigeria has 15.4 million subscribers amounting to 9.5 per cent market share. In May 2018, I explained why Airtel Nigeria would continue to grow: asset-light business model where outsourced partners do the core infrastructure works while Airtel stays ahead running the customer experiences. Doing that means it can grow faster because it can deploy dozens of partners (who get paid only when they deliver services) working across Nigeria at the same time. It is a very risky business model as the weakest link is now the weakest delivery partner. But it has a solid positive: Airtel Nigeria can largely leave Nigeria with a briefcase, largely unhurt by any turmoil. The only thing it has is the mobile license and the logo: others carry the risks! Many quarters ago, Airtel was seen as a company that would abandon Nigeria. In the depth of the recession, the company struggled: it had so many underperforming assets. As the nation exited recession, Airtel upgraded its business model. Today, Airtel is leaving the infrastructure business, outsourcing all to partners across Nigeria. Typically, such enables companies to conserve cash. The impact is now visible in the subscriber numbers. Provided Airtel continues to find partners, it would continue to grow at a faster rate than its peers. The future of rural telephone and broadband services will move faster for Airtel in Nigeria since doing such will just require signing contracts with partners. The gestation period between investment and revenue is largely out because it does not have to worry about community negotiations, fees and other issues which make simple things hard in Nigeria. Airtel partners would have to deal with many of those issues. Airtel is the most positioned brand for the 5G deployment in Nigeria. Yes, it will write the spec on what it wants; others will find money to join the party. Business model is as strategic as technology – Airtel is a real case study in Nigeria. The same company that nearly left during recession is now winning big! Profound insight Prof! We are in an age where the biggest hotel chain does not own a single room, the biggest taxi company doesn’t know owe a taxi. Airtel is simply zeroing in on its competitive advantage to beat the market. Big lesson for all business across the continent. Yes indeed – business model can WIN big battles. More so, the business model of Airtel you mentioned, where core infrastructure development and maintenance are outsourced, is a common business model of Mobile Telecommunication firms. Although, Bharti Airtel in India was one of the first few companies to adopt this, this model has been adopted by other Telcos in ever since. Virtually all Telcos now unbundle their business model to concentrate on Acquiring and retaining customers. It’s not a model unique to Airtel alone. The few reasons while Airtel is gaining fast growth can be largely due to their rural penetration strategy, as that customer segment remains largely untapped by other Telcos. Also their internet service reliability has been one of their competitive advantage over the years. Points noted and thanks for the insights. I have used NCC data and Glo was ahead until Airtel took over as reported. On the outsourcing, all telcos do same but Airtel has a bulk of its strategy on it – it is about the percentage.